Casablanca might be director Michael Curtiz's most famous 1942 film, but it wasn't his only one. Captains of the Clouds, set in Ottawa, also made its debut that year. 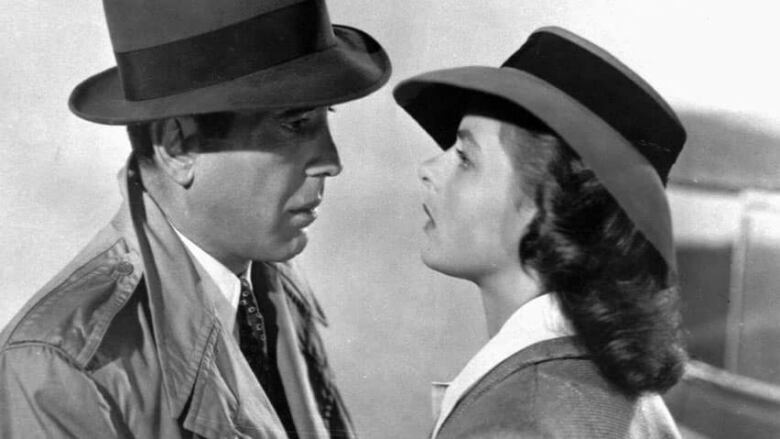 Sure, you know the film Casablanca, and you might even know it was directed by Michael Curtiz. What you might not know is that of all the towns in all the world, Curtiz chose Ottawa as the setting for another Second World War-era film, produced the same year as the Humphrey Bogart classic. Captains of the Clouds stars James Cagney as a reluctant RCAF pilot who falls in love with a local woman, portrayed by Brenda Marshall. According to Marc Furstenau, associate professor and director of the film studies program at Carleton University, the 1942 movie was a unique co-production between the Canadian government, the Royal Canadian Air Force and the American studio that produced it. "It is a Warner Bros. film, the one major Hollywood studio that had been willing to make pro-war and anti-Nazi films, which almost all the other studios had refused to do before the United States entered the war," Furstenau said. 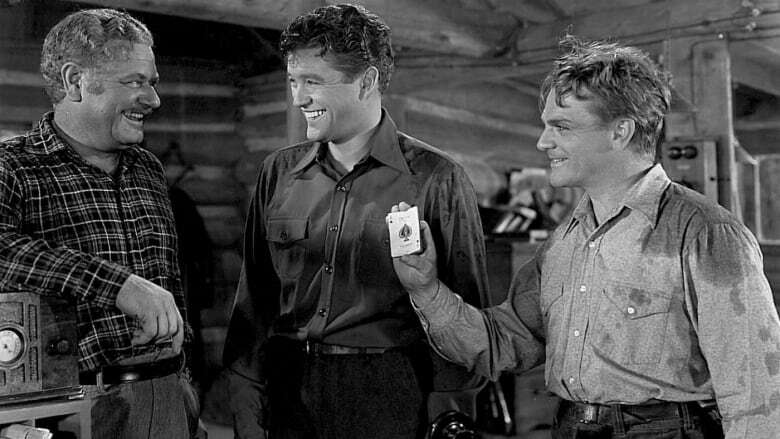 "And of course, it is a rare Hollywood film that is not only set in Canada but shot in actual locations, rather than on studio lots and sound stages standing in for Canada." Those settings include CFB Uplands and some familiar Ottawa landmarks. "We see the Châ​teau Laurier, we see the [National] War Memorial downtown, we see Wellington Street ... and we get at least one aerial view of downtown Ottawa, of the river, of the Parliament Buildings and Gatineau." 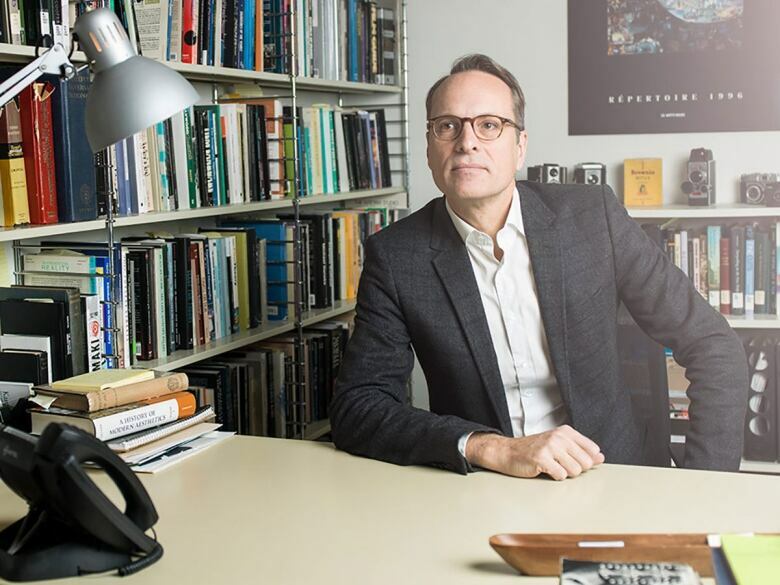 Furstenau, who's also editor of the scholarly publication Canadian Journal of Film Studies, happened upon the movie while editing an article about it by Ryerson University post-doctoral fellow Jessica Whitehead. "It's a film that I had never heard about before, myself. This is a real historical curiosity," he said. 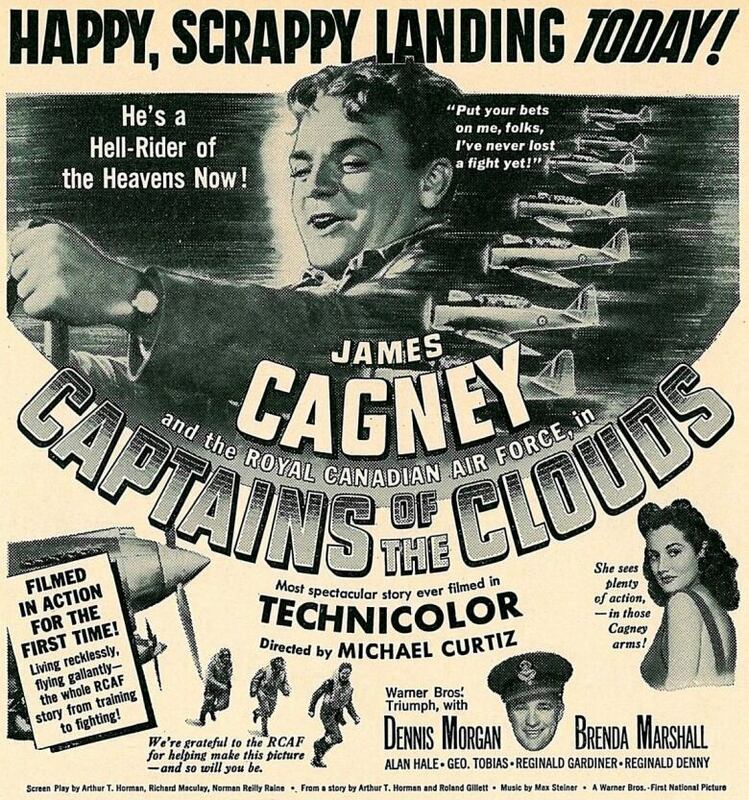 A promotional poster for Captain of the Clouds. The film even features a cameo by real First World War flying ace Billy Bishop, then Canada's Air Marshal. "The title of the film is actually from a speech that Billy Bishop had given, trying to describe the heroic efforts of the Canadian fighters going over to help the British as 'captains of the clouds,'" Furstenau said. Furstenau, who screened Casablanca last year to mark the 75th anniversary of its release, will present Captains of the Clouds Friday evening at Carleton. The public is welcome to attend the screening, which will be followed by an informal discussion.